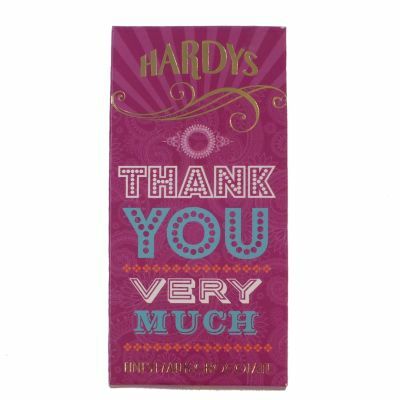 Nothing quite says 'Thanks' like this 'thank you' hamper - With a delicious 'Thank You' chocolate bar, scrumptious popcorn, truffles, dark chocolate honeycomb bar & more, presented in a red jute bag. 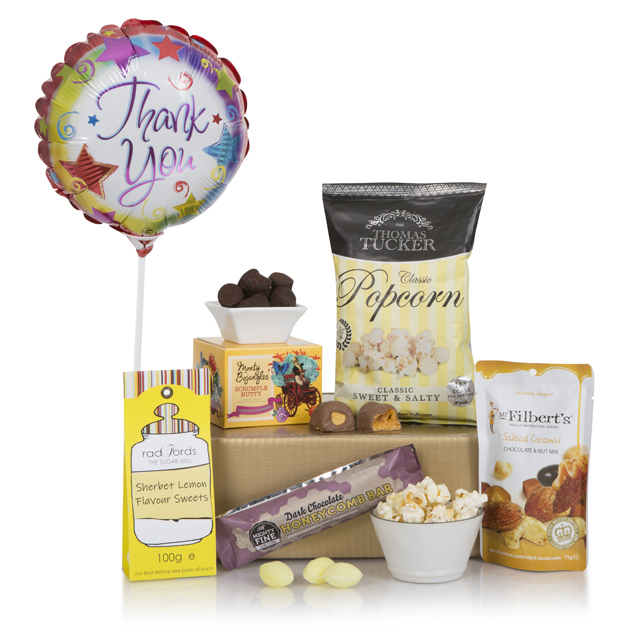 So show your thanks and gratitude with this thank you hamper. 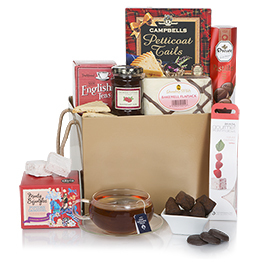 This hamper will earn you 52 Hamper Points. 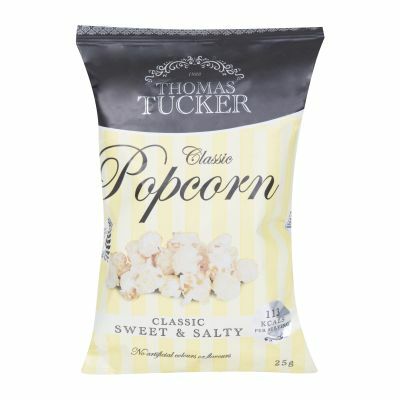 Tommy Tucker Sweet & Salty Popcorn 25g Indulgent sweet & salty gourmet popcorn in a handy snack sized pouch. 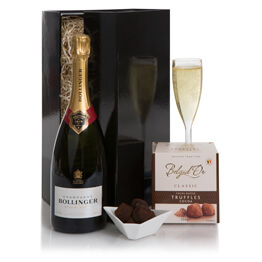 Although we didn't see the hamper, as it was sent out as a thank you gift, the recipient called to thank us for the wonderful hamper - they seemed very impressed. 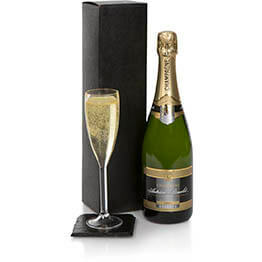 I thought the hamper seemed good value for money and the ordering/delivery process was stress free. Our friends were so pleased with the hamper, and we couldn't believe that they recieved it with all the snow and ice from 'the beast from the east'. Excellent value. Thank you as we are in Australia we were so happy all went well. 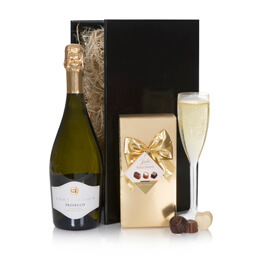 My friend called after she rec the "Thank You" hamper, she really loved it! 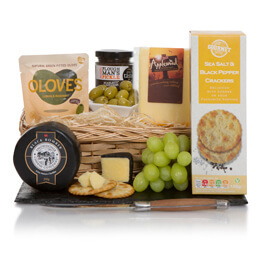 We only sent the hamper and it was well received. I purchased this as a present. 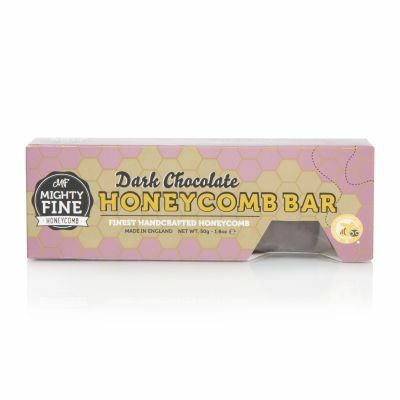 I was kept informed of the delivery all the way which I liked. The family :) members who received the hamper said they were very happy. Lovely little bag of assorted biscuits, cake and chocolates. Smaller than I imagined but very nice thoughtful gift to say thank you to someone. Arrived on time my Great Uncle was delighted with contents. Excellent service and fast delivery as always, and hamper perfect - recipient was delighted. Recipients were delighted with this hamper! Very pleased with the company and the products. I would definitely use them again. 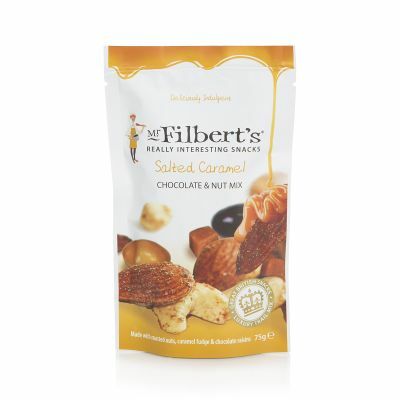 Excellent product & choice. I sent it overseas and they absolutely loved the hamper. Definitely one for future orders! The receiver received it immediately in the day of what I chose and was pleasantly surprise and hapoy about it. Definitely something to give to those you appreciate most. And it's great if you want to give gifts but don't have the time. 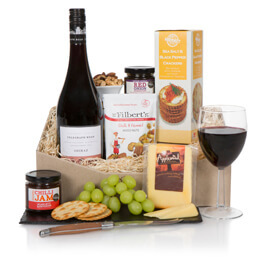 This is definitely one of the many few Hampers I'll be sending out. 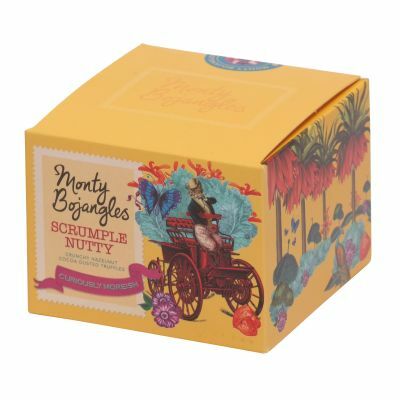 My sister was delighted with the hamper, and the process worked well from my end, including being notified when it was delivered AND who had signed for it. We felt this would be a nice way of saying thank you to family that we stayed with for a weekend . The balloon was a nice touch. The parcel seemed to be good value. I found it difficult to find a similar type of gift to say thank you for the price.